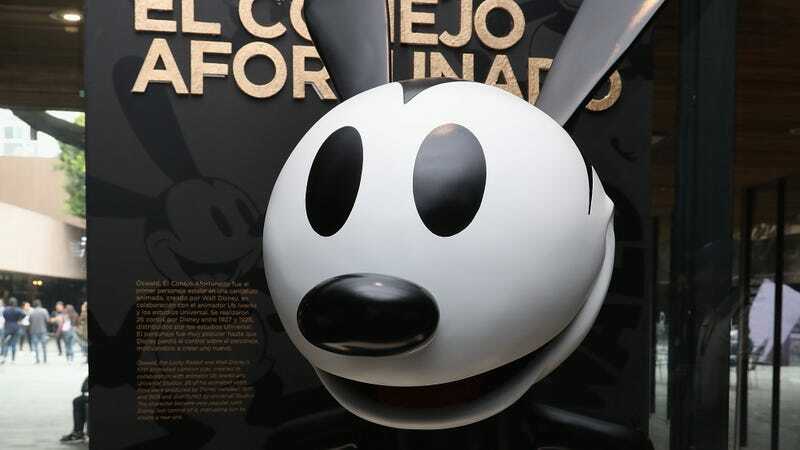 Go, run, tell your kids: Oswald’s back! A Japanese anime collector has just helped fill in one of the missing pieces of Western animation history, as THR reports that Disney has recovered footage of one of its “lost” animated shorts, featuring the company’s most beloved and popular character: Oswald The Lucky Rabbit. A 16 mm print of the lost Oswald short, “Neck ‘N’ Neck,” has apparently been in the possession of Japanese animation historian Yasushi Watanabe for more than 70 years now, without him realizing what he had until he dipped into a recent book about the character’s history. (Out of the 26 Oswald shorts, seven are considered lost.) Unfortunately, Watanabe’s version of “Neck” isn’t the full five-minute version originally created by Iwerks and Disney in 1928, but a cut-down version sold for home projection. In any case, though, it’s still an important piece of the company’s (and American animation’s) history, and it’s always a big deal to find another one of these “lost” shorts out in the wild, especially in such a seemingly random way. Could the emergence of a hot new Horace Horsecollar flick be next?